Oh, Dior. You just constantly impress me and make me want to embrace the epitome of luxury. So, of course, the new Golden Jungle Palette is no exception. The jungle motif has been a signature of the House of Dior since its debut in 1947, when Christian Dior presented his collection to the international press in Paris. And in the Fall 2012 makeup collection, it's been revamped with a touch of shimmering gold. Note: PLEASE ONLY LEAVE ONE COMMENT! Do not leave additional comments about Facebook and Twitter entries -- those are counted separately and you do not need to mention them here. Thanks! 2) Get an extra entry for liking The Beauty of Life on Facebook and leaving a comment on the post about this giveaway telling me why you want to win this palette. This giveaway ends on Saturday, August 4 at midnight. One winner will be chosen AT RANDOM on Sunday, August 5. Maximum of THREE ENTRIES (one for each way listed above). Multiple entries will be disqualified. Giveaway is open to US residents only. Oooh Oooh Oooh pick me pick me! It looks sooo pretty and classy. Thank you for these great prizes. I love Dior! OMG! I just love Dior! That's a nice eye palette. Thank you for the chance! Wow..I just saw this at the mall today and I was drooling over it. Dior has been my favorite line and I have used their skincare for many years as well as the eye, face and lip products. 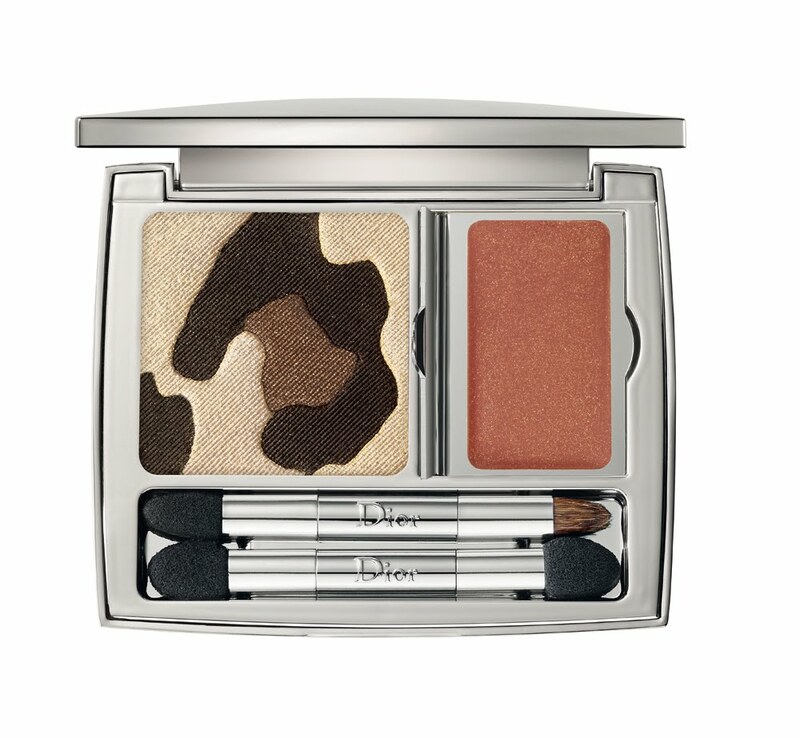 This new Dior Golden Jungle palette would definitely update my fall look. I would love to be the winner of this beauty giveaway. OMG! Want! I'm all about leopard! I love Dior SO much but only own a few things from the line because it's way too pricey for my budget. So I really hope to win! Oh, I love how the palette looks! I want to win sooooo bad. What a beautiful palette. I've never owned anything Dior before. This would be great to have for my fall makeup. Love the colors! This is a gorgeous palette and, of course, it's Dior, so naturally, along with everyone else, I want it! I follow by email as crystesmom (at) yahoo (dot) com. I also follow on Fb as Lynn Brooks. Thank you, Jamie; this is a wonderful prize and whoever wins will have much to be grateful for. This is really nice! I love Dior. Thanks for the opportunity to win this gorgeous palette! J'adore Dior. Simply the best! I like Dior fragrances but haven't tried its cosmetic line (yet). I really need some fresh new makeup, thanks for the chance to win. Gorgeous colors! I'd love to own a palette that chic. I would love this makeup missy! Pick me! Who wouldn't want that beautiful gold Palette?!?! I LIKE The Beauty of Life on Facebook, username is kleimanlaw, and shared this contest, as well as posted why I loved the palette. I have wanted this palette since first laying eyes on it. It's Fabulous but I simply couldn't afford it. Thank you for sponsoring this incredibly generous giveaway and good luck to all. I follow you on twitter, username is @DianeLori, and tweeted the above message. I also retweeted this contest. Thank you for another fabulous giveaway. I love Dior. This would be great for my daughter for her birthday. The jungle palette has great subtle colors-Great for summer and great for the those with a tan! Very good products-fresh and clean. Gorgeous! Thank you so much for the chance to win. Comment: Thank you for the opportunity! great giveaway! i love dior! Fingers crossed that I win this beautiful palette. I follow on Twitter @brandyjoiner, on FB as Brandy Curnutt-Joiner. E-mail brandyjoiner@yahoo.com. Thanks for this lovely giveaway! SO EXCITED! Hope I win!! I could use this for my new back to school style! You're going to make some lucky girl VERY happy with this palette! Beautiful palette! I have always wanted to try dior, but too expensive for me. Wow, beautiful colors! Sigh, Dior's out of my price range. What a great palette. Love the colors. Great giveaway! I've seen this advertised....love it!Thanks for the chance. Thanks for the great giveaway,this looks awesome.! The colors are awesome, think they'd go well with my hazel eyes! I also follow via fb. Dior is my weakness! I don't have many of their palettes, but the ones I do have make my heart go pitter patter. I've never seen anything like this one, though. Must ... have ... jungle ... please! Looks nice, I'd love to be picked! cosmetics I would love to. I have never tried Dior, but I sure would like to! It's time for some new makeup and I love Dior! Nice giveaways!Would love to win.Colors beautiful! Never tried Dior before, but this looks unique.